I’m interrupting the series about the road trip to New Orleans to write about Prince’s death. It’s very sad, and we in Minnesota will miss him. He had a huge impact on the local music scene. In the Minneapolis Star Tribune today, Doomtree rapper P.O.S. 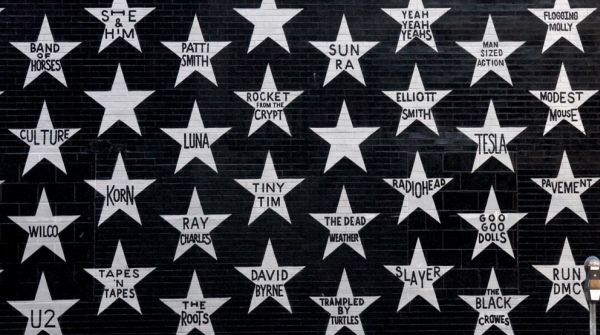 credited Prince with making Minneapolis “a city full of musical weirdos.” That’s a good thing. You want artists to feel free to experiment. Bob Dylan, another tiny weirdo superstar from Minnesota, lives in Malibu, California. 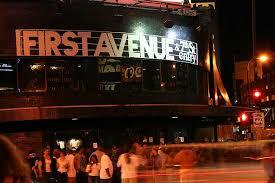 Prince stayed here, and like most locals I had gone to First Avenue, the club he founded, hoping he would show up for one of his impromptu concerts. Last year I went to a party there celebrating the 30th anniversary of Purple Rain. They showed the movie on a big screen and local musicians, including P.O.S, played songs from the album. Lots of people I know have stories about hearing Prince at some small local venue, or meeting him at a restaurant, and they all describe him as friendly and warm. The headline in the Star Tribune today was irritating: “Lonely death scene despite legions of fans.” Yes, he was alone when he died, but does that mean he was lonely? It’s just such sloppy writing. Probably the person he would have most wanted to be with in his dying moments would have been a paramedic. The Strib also referred to his “passing,” which is one of my pet peeves. It’s sad enough that he died. Can’t we just say it? I once had a tangential connection to Prince. I dated his ex manager for a while. He and I hung out with Prince’s ex drummer, ex driver, ex chef … you get the idea. Prince was not an easy boss. I’ll call my ex Larry. Back in the late 90s there was still a matchmaker for the Jewish community in the Twin Cities. She also ran the Big Brothers/Sisters mentoring program. She had matched me with my Little Sister, and after a rocky start it had turned out to be a perfect fit. Almost 40, I went to her to see if she could do as well with a man. She was a tiny lady named Bobbie Goldfarb. She peered at me and said, “Honey, at your age the odds are good, but the goods are odd.” That turned out to be true. She set me up with Larry and it was great for a couple years. Larry had all sorts of Prince and other music memorabilia in his basement, including gold and platinum records. He told of how Prince came to live with him when Prince was a teenager. 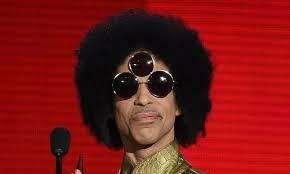 Prince could play the piano with one hand and a guitar with the other at the same time. He could do it standing on his head. Well, slight exaggeration but that’s just to say he was a whiz bang genius musician. Prince also had a wicked sense of humor. Larry told me a story of how he’d lifted the toilet seat, put plastic wrap over the bowl, and put the seat back down. You can imagine what happened to the next person to use the bathroom. Larry rented a converted garage in Los Angeles that was his second home. It was a lot nicer than that sounds. You can live in a converted garage in Los Angeles and be perfectly happy, because you can sit outside surrounded by fragrant night-blooming jasmine and all the other lush growing things that can’t survive in Minnesota. And there was a pool. I love staring at a pool even if I never get in it. I have Larry to thank for my love of L.A.
New Year’s Eve, 1999. Larry and I went to a party in a house on the beach near Santa Monica. There was a sushi chef. There were fireworks over the pier. It was a nice night. Two months later I turned 40, Larry dumped me, I was fired from my job, and I was diagnosed with Multiple Sclerosis. I was devastated and played Sinead O’Connor’s ‘Nothing Compares 2 You” (written by Prince) over and over and smoked and cried…such a great wallowing song. Thanks, Prince, for the music, and for inspiring weirdos and sad people everywhere. This entry was posted in Atheism, death and tagged First Avenue, Minneapolis Sound, Minnesota, Prince on April 24, 2016 by Breaking Free.